CARFAX AVAILABLE NO ACCIDENTS!!!!!!! Here's a 2017 Dodge Grand Caravan SXT with 39,000 miles for only 16,995.00. 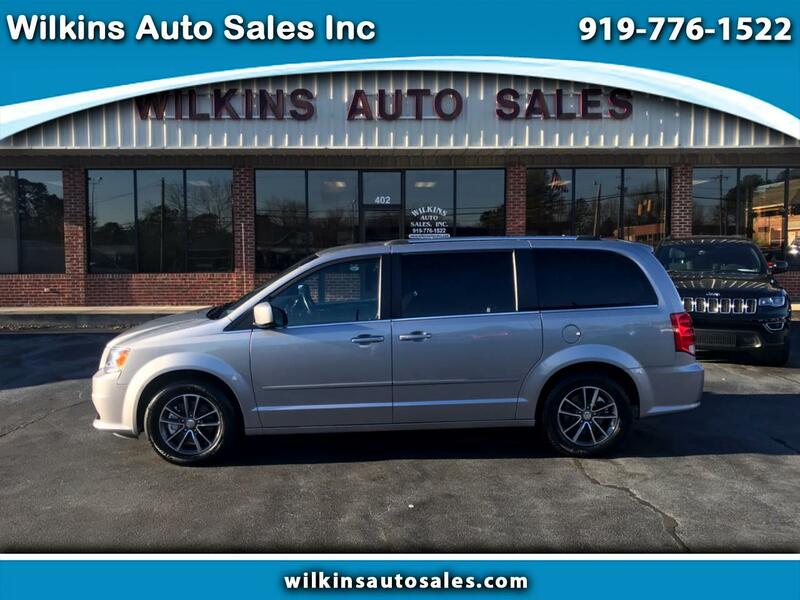 This Dodge Grand Caravan is loaded with options, here are just a few, keyless entry, remote start, power back hatch, back up camera, premium alloy wheels, power sliding side doors, power drivers seat, AM FM CD stereo system with satellite radio available, dual climate control, rear air controls, captains chairs in second row, automatic headlights, Bluetooth and much more!!!!!!! COME BY AND SEE RUSS OR JEFF TODAY OR CALL US @ 919-776-1522!!!! !